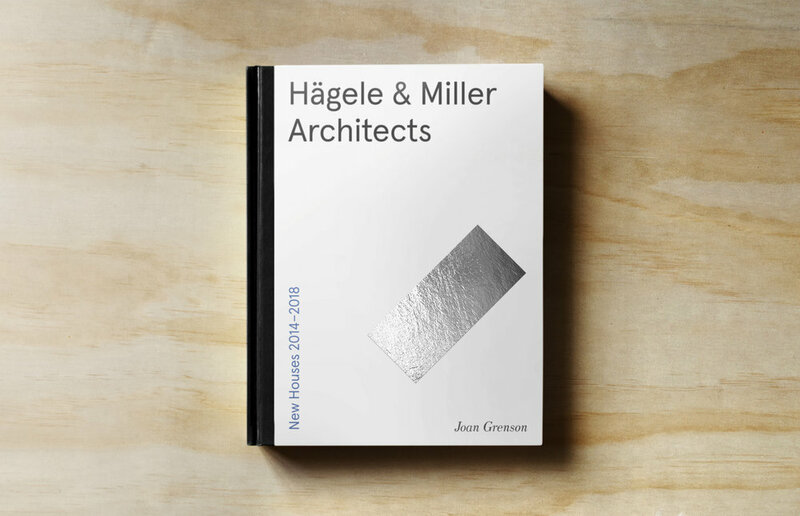 Conceived as a self-initiated branding project by Filament, Hägele and Miller Architects is an imagined Brooklyn-based architecture studio focused on new approaches to small scale architectural design. The studio works primarily in the residential sector, but has also designed schools, greenhouses, and mixed-use spaces for the performing arts. 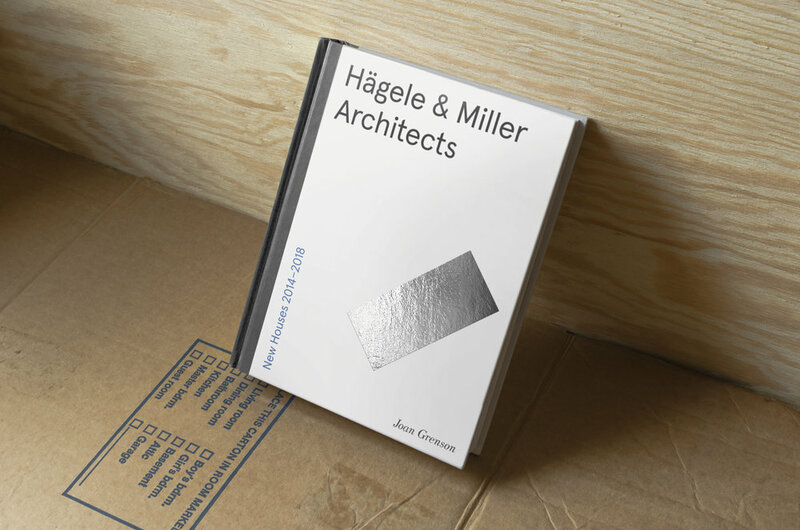 As a firm dedicated to new methods in architecture, it was fitting to set Hägele and Miller Architects' name in a promising new typeface: Colophon Foundry's Aperçu. The logo also features a diagonal mark that can be included with the typesetting, or used on its own. The color palette is inspired by the work of the late art and design educator Josef Albers, whose color studies laid the foundation for modern color theory. Use of close intermediate color tones allow for a wide variety of colors and a flexible brand identity – a flexibility that allows for elaboration and continued evolution. 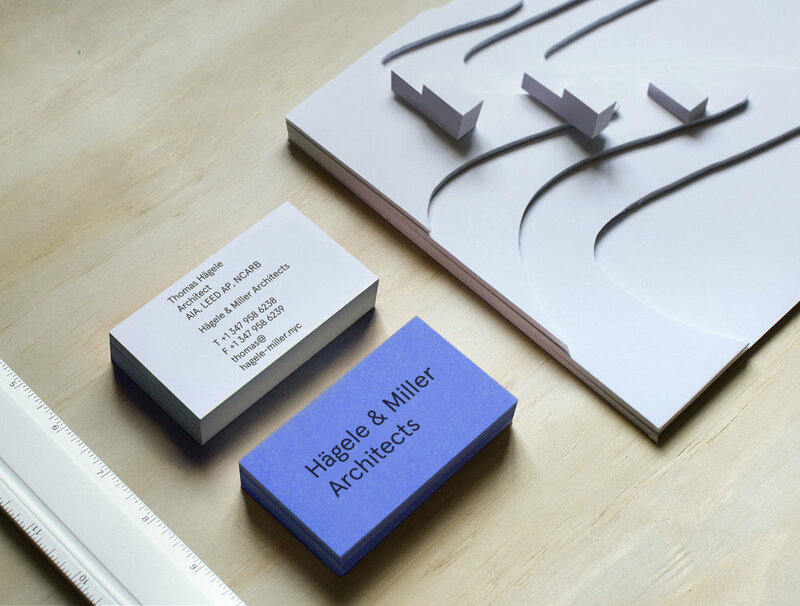 Extreme, utilitarian simplicity and an eye for tidy typesetting allows Hägele and Miller's business cards to achieve maximum legibility through the most efficient means possible. The text is set in a rich black on a thick, uncoated stock without any ornamental features whatsoever. Like many of H&MA's buildings, the result is a beautiful combination of rawness of materials and clarity of execution. 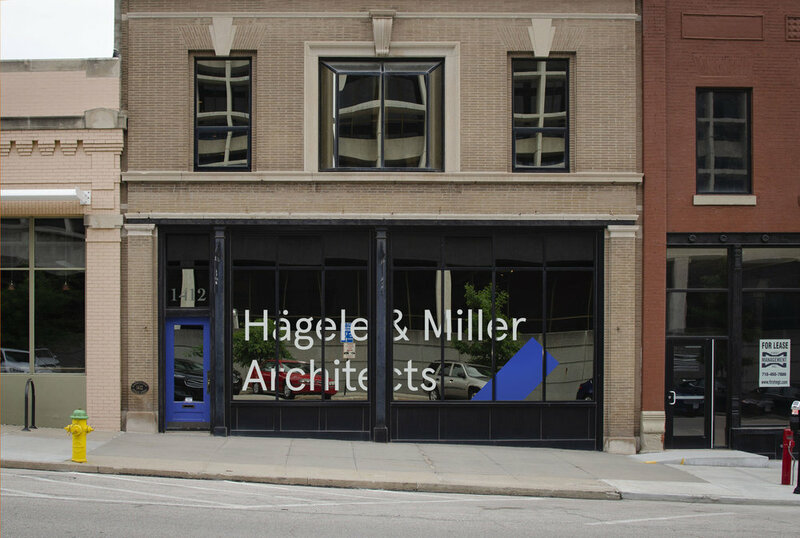 Hägele and Miller Architects' Brooklyn storefront underwent a restoration process that was crowned by the installation of a large-scale window graphic that allows for high visibility and a memorable impression for both foot and car traffic. 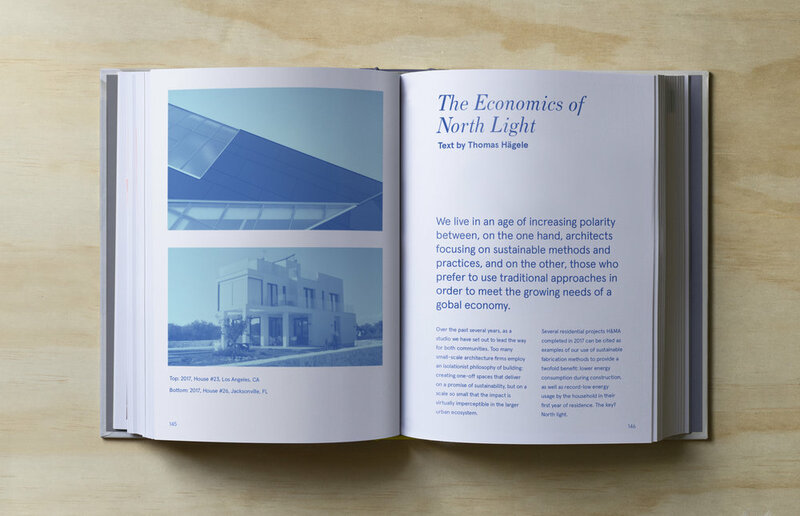 New Houses 2014–2018 is an editorial publication focusing on residential spaces H&MA designed and built between 2014 and 2018. This four-year phase was important for the studio because of the unique opportunity they had to conduct research on their sustainable houses and measure the results of their efforts.